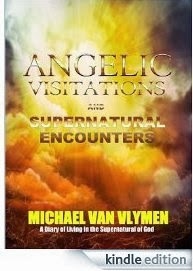 Michael R. Van Vlymen was born in 1958 in Blue Island, IL. Growing up to Pastor/ Missionary parents, Michael has lived in many places over the years, including Brazil, South America. Michael's first book, How toSee in the Spirit, is a work drawn from his own life experiences in his pursuit of a deeper walk with God. Michael is also an avid artist specializing in portraits and spiritual themes and a musician who enjoys playing guitar. No reviews yet, that’s why the book is free. After you’ve read it, please leave a review.